After seven years, and no small amount of uncertainty, the final chapter in Clementine’s journey is here. Last year Telltale Games unexpectedly shut their doors and cancelled all projects, including the remaining two episodes of The Walking Dead: The Final Season. 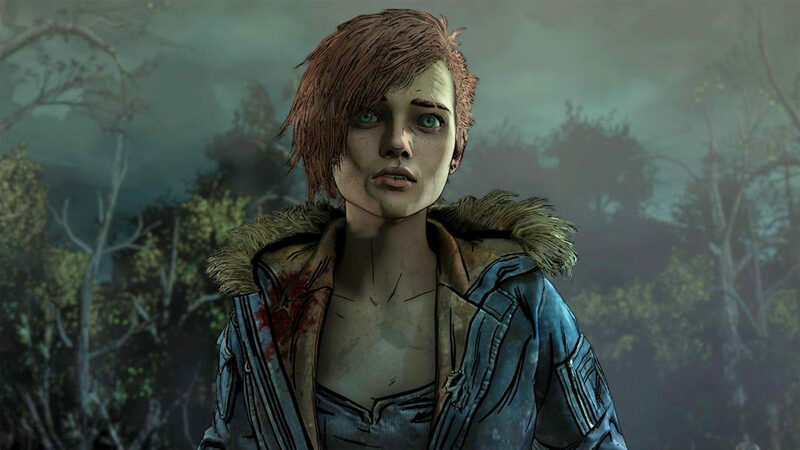 Thankfully, Skybound Games, a new studio founded by Walking Dead creator Robert Kirkman, stepped in to rescue the season with a dev team largely composed of former Telltale employees. Warning: This review contains spoilers for The Walking Dead: The Final Season Episodes 1 through 3. Previously on The Walking Dead: The Final Season, Clementine, now around 16, and her adopted son AJ were rescued and taken in by a group of teens who’d set up camp in an abandoned boarding school. Unfortunately, the kids’ leader Marlon was secretly trading members of the group to a band of raiders led by Lilly, an unpleasant character last seen during Season One. When one of the other kids confronted Marlon about this, he lashed out, accidentally killing her. Marlon tried to pin it on Clem, but AJ settled the argument by putting a bullet in Marlon’s head. Shortly afterward, Lilly and her raiders attacked the school and kidnapped three students to use as child soldiers. Clem, AJ, the remaining students, and hunky former Whisperer James quickly hatched a plot to rescue their friends and blow up the raiders’ riverboat hideout. The plan goes off without a hitch until they encounter Minnie, one of the kids previously traded to the raiders by Marlon. Clem and company are captured when Minnie betrays them, and Lilly, seeing that AJ is developing into a fine young psychopath, tries to recruit him to her cause. Of course, Clem escapes, a violent showdown with Lilly ensues…and then the bombs the kids planted on the boat go off. Whoops! And now on to this week’s exciting episode. Episode 4 opens with Clem and AJ trying to escape the raiders’ rapidly sinking boat. They get out by the skin of their teeth, but all the action has stirred up a thick herd of walkers. The group of kids are split, with Clem, AJ, and one or two others (depending on the choices you’ve made) taking refuge in a cave with no clear route back to the safety of the school. I described the first episode of The Final Season as a “post-apocalyptic parenting sim,” and after drifting from that slightly, Episode 4 is once again laser-focused on Clem and AJ’s ersatz mother-son relationship. Specifically, this episode is about something that rightfully terrifies every parent – the moment your kid realizes it’s all bullcrap. That you’ve been making it up all along, and you have to decide whether to double down or let them go their own way. That’s the decision that Clem faces following the near-disastrous boat escape, when AJ declares he won’t be restrained anymore and is going to do anything he can, including killing, to protect his loved ones. The entire season has been setting up this moment, teasing numerous times that AJ might have been seriously warped by the things he’s seen, and yet, almost every time Clem tries to hold him back, something bad happens. 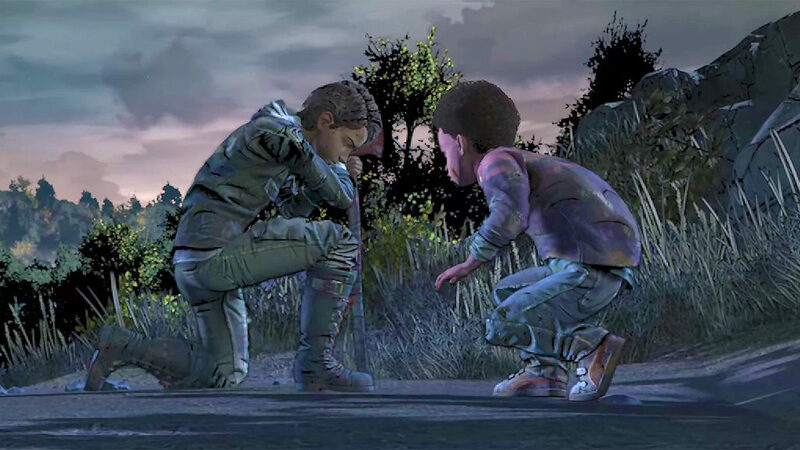 It’s a genuine moral dilemma – the deepest, most affecting one Telltale’s ever conjured up. Without spoiling anybody’s ultimate fate, I’ll just say The Final Season Episode 4 truly does justice to both Clementine and AJ. In some ways, this last chapter actually redeems some earlier stuff, particularly the shaky third season. I’ll admit, I got choked up a couple times – not because this episode loads on the melodrama, although there is a little of that. No, it’s the small moments that got me. There are a few perfect arrow-through-the-heart lines in this episode, particularly for anybody who has kids. Brace yourself, this one’s a bit of a roller coaster. Unfortunately, as good as Episode 4’s writing is, there are some issues on the gameplay front. Specifically, there’s just way too much action. While past episodes have trotted out the quick time events relatively sparingly, this final chapter is basically one long action scene with brief character moments mixed in. I realize the developers wanted to keep the tension high, but it starts to get a little exhausting. To Skybound’s credit, they have tuned up said action a bit – button presses feel more responsive and shooting sections have been simplified/improved. In fact, Episode 4 is generally a nice step up technically (this is the first ep that Skybound developed mostly on their own). Performance is improved, there are fewer glitches, and this is definitely the best looking episode of The Final Season. Like most Telltale episodes, this one runs about 2 to 3 hours, although I have a feeling a lot of fans will want to tackle the season again to tinker with their decisions. Heck, some may want to start right back at the beginning of Season One. Like the last chapter of a good book, The Final Season Episode 4 will stick with you long after you’ve finished it. 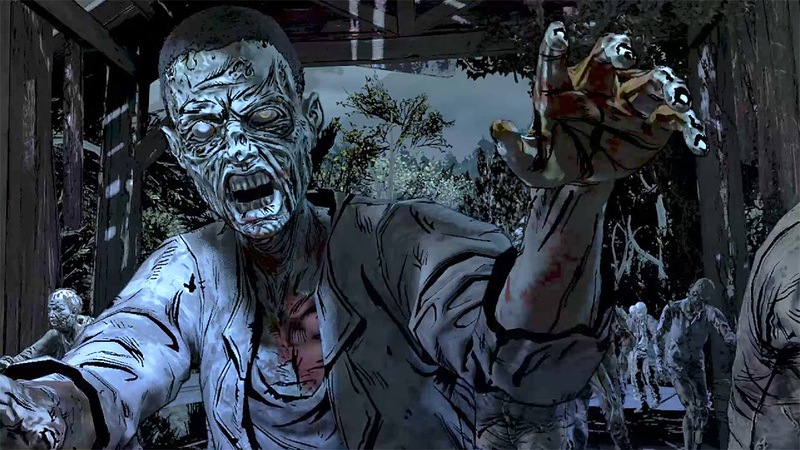 This review was based on a PC copy of The Walking Dead: The Final Season Episode 4 provided by publisher Skybound Games. You can purchase the full Season for Xbox One, PlayStation 4, or Nintendo Switch via Amazon. 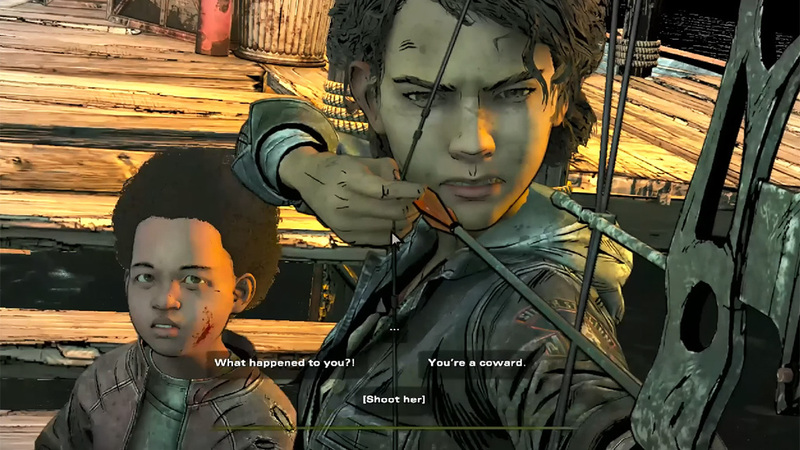 The Walking Dead: The Final Season Episode 4 wraps up seven years of undead drama in satisfying fashion, delivering genuinely moving character moments and meaningful, ultimately uplifting, observations about parenthood. The Final Season Episode 4 can be slightly exhausting, both emotionally and because of an overabundance of action scenes, but fans who have been with Clementine since the beginning won’t want to miss the final leg of her journey.